#PoetryPromise is coordinated through Poetry by Heart with the aim of promoting and spreading the love of poetry. My #PoetryPromise for 2015 is to share a favourite poem of mine every month through my blog. My choice for December is Poetry by Marianne Moore. Read all the Poetry Promise posts here. #PoetryPromise is coordinated through Poetry by Heart with the aim of promoting and spreading the love of poetry. My #PoetryPromise for 2015 is to share a favourite poem of mine every month through my blog. My choice for November is Mametz Wood by Owen Sheers. 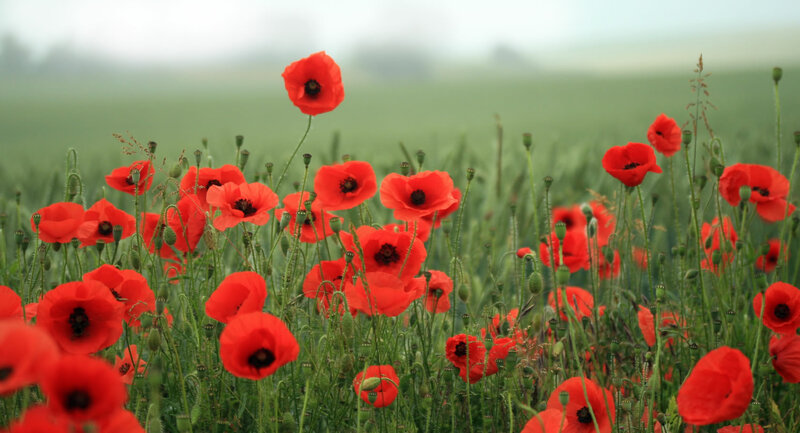 I have blogged before about the importance of Remembrance to me, and I make no apologies for citing this poem by Owen Sheers again. Whilst the War Poets bring alive the horror and reality of the Great War as voices from the past, this poem captures better than any other the connection between our present and that harrowing conflict. As a culture, it is our duty to continue to reach back into ourselves and listen to the notes that those who lost their lives sing back to us…and remember. #PoetryPromise is coordinated through Poetry by Heart with the aim of promoting and spreading the love of poetry. My #PoetryPromise for 2015 is to share a favourite poem of mine every month through my blog. My choice for October is The Everyday Hymn by Clare Carlile. And the kick as the seal passes out. Into one thousand geometric shapes. I’ve always enjoyed the Foyle Young Poets Award anthology, and I read the shortlisted poems every year open mouthed in wonder. These young voices feel unleashed through poetry and present ideas in language so well-chosen it makes me envious. I could have chosen any number – Hannah Locke’s Breaking the Ice from 2009, Joe Heap’s The Air Sang from 2004 – but Clare Carlile’s poem from 2012 is the one I come back to. The Everyday Hymn has that quality I so admire in poetry: the minute observation which allows the verse to render the world in a new perspective. 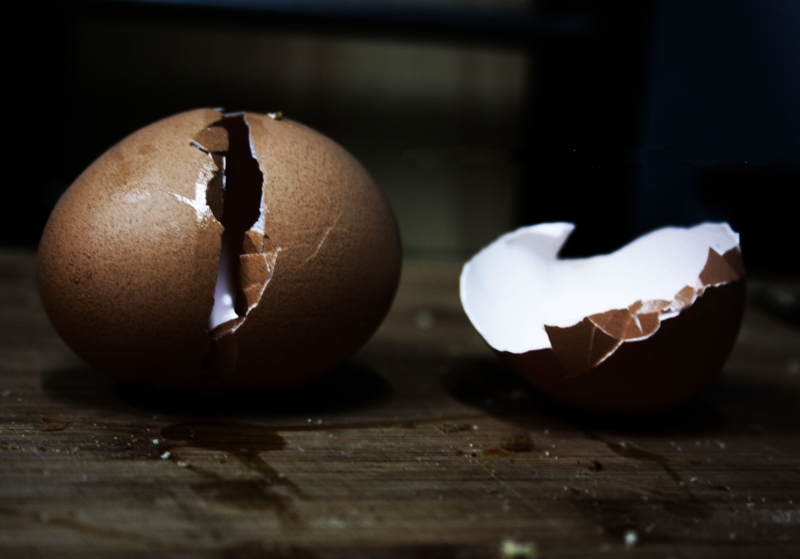 The detail with which the opening of the can and the breaking of the egg are described is exquisite; as I read I can hear and feel them in the words of the poem. And the joys that these everyday events bring, when scrutinised and savoured, connects the reader and the poet in a shared smile and sigh of satisfaction – it’s just wonderful! The poem also reminds me to savour those moments, the small pleasures, and to bank them up. The world is full of joy, if you look closely enough. #PoetryPromise is coordinated through Poetry by Heart with the aim of promoting and spreading the love of poetry. My #PoetryPromise for 2015 is to share a favourite poem of mine every month through my blog. My choice for September is Havisham by Carol Ann Duffy. Don’t think it’s only the heart that b-b-b-breaks. I have to include a poem by Carol Ann Duffy in my Poetry Promise. She is one of my favourites and she has fulfilled the role of Poet Laureate with real skill, most notably with her Olympic poem Translating the British and her bleak 12 Days of Christmas (2009). She’s been a staple of English teaching throughout my career; Mean Time was part of the A level in my NQT year and her poems have consistently featured in AQA anthologies. Her unflinching honesty and her mix of horror and humour make her books a gripping read, and her trademark final-line twists mean than her poems stay with me long after I’ve put the book down. In Havisham Duffy gives us the internal voice of Dickens’ famous character stripped of all the pretence and subterfuge of the novel. In doing so she subverts our expectations and re-interprets the character from a feminist perspective as a woman wronged and undone by men. Duffy’s Havisham spits impotent fury, raging at her betrayer but ultimately unable to enact her revenge. The imagery – pebbles for eyes, ropes on the back of her hands – is vivid and arresting, and the juxtaposition of opposites from the opening line onwards shows the contradictions which have trapped Havisham in stasis. The collapse in the final line shows her tightly-wound anger and desire unravelling. Havisham stands out in Mean Time as a sign of things to come. Her re-imagining of female characters from fiction and non-fiction forms the backbone of the fantastic collection The World’s Wife, providing voices for the voiceless and identity to the invisible. She continues this mission of exploration and examination of female identity in Feminine Gospels (where the fantastic “Sub” was a close second for inclusion in this post). When I look back at a male-dominated literary canon it makes me proud to read and teach in a time when female voices are as influential, passionate and powerful as Duffy’s. #PoetryPromise is coordinated through Poetry by Heart with the aim of promoting and spreading the love of poetry. My #PoetryPromise for 2015 is to share a favourite poem of mine every month through my blog. My choice for August is “Let me put it this way” from Reading the Banns by Simon Armitage. This beautiful poem is on the final page of Simon Armitage’s Book of Matches, a series of brilliant meditations on love. It concludes Reading the Banns, the third section of the book, which is an account of his own wedding. I’ve never read anything that captures the simple, selfless truth of love as perfectly as this. #PoetryPromise is coordinated through Poetry by Heart with the aim of promoting and spreading the love of poetry. My #PoetryPromise for 2015 is to share a favourite poem of mine every month through my blog. My choice for July is The Windhover by Gerard Manley Hopkins. Gerard Manley Hopkins is another unique voice in poetry. Like Emily Dickinson, he crafted his own poetics. He hammered and twisted the English language into a completely new form, sending red hot sparks spilling off the page with his sprung rhythms and exploding images. Reading his verse is like watching a pinball machine, as the meanings of words collide and spin off in unpredictable and spectacular directions, lighting up in vivid colour. Although in later years Hopkins’ poetry turned darker and more tortured as he wrestled with despair and shaken faith, I love the unconstrained joy of his early poems. 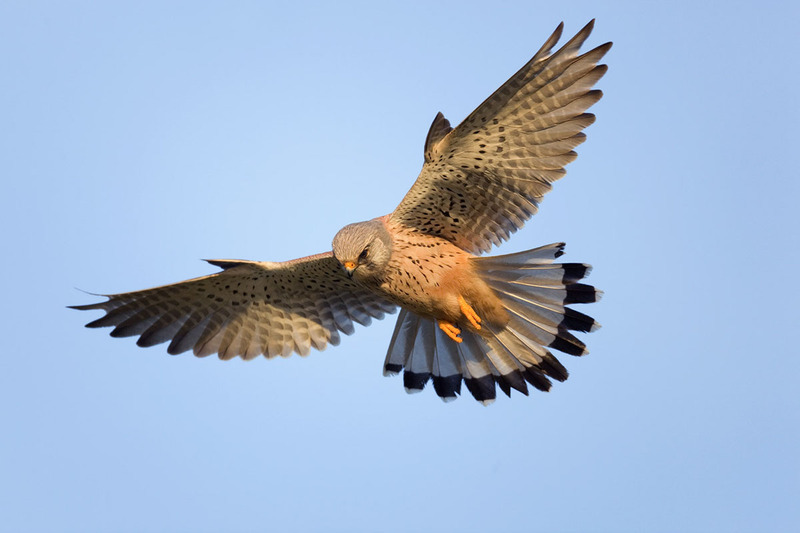 Though I am not religious, I feel the same wonder in nature when I see a marvel like a kestrel, catching the wind’s currents to hold itself aloft, its head a static point as its piercing eyes scan the ground for traces of movement. Whenever I see one above the motorway or over a field, Hopkins’ words leap into my head; his rippling lines catch the constant movement of the bird’s wing and the open-mouthed wonder of seeing such awesome adaptation in action. #PoetryPromise is coordinated through Poetry by Heart with the aim of promoting and spreading the love of poetry. My #PoetryPromise for 2015 is to share a favourite poem of mine every month through my blog. My choice for June is Blackbird by Paul McCartney. This is one of my favourite Beatles songs – favourite songs full stop. It brings a tear to my eye every time I hear it. Inspired by the civil rights struggles in America in 1968, McCartney channelled J.S. Bach’s Bourée in E Minor to create this beautiful solo piece, punctuated by foot taps and birdsong. I bought Blackbird Singing, a collection of Paul McCartney’s lyrics and poetry, for my Dad when it came out. Coming to the lyrics fresh, printed and bound, made me re-evaluate the writing. In the introduction, Adrian Mitchell writes: ‘Clean out your head. Wash out the name and the fame. Read these clear words and listen to them decide for yourself. Paul is…a popular poet.’ I agree. I can remember coveting Dickinson’s “The Complete Poems” whilst at university. 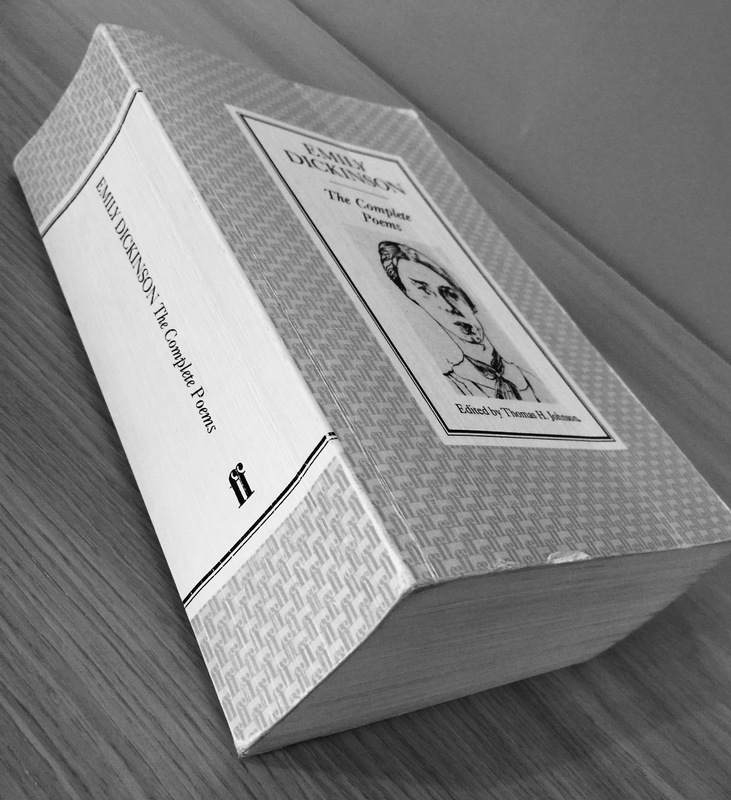 The sheer size of the book, filled with nearly 1800 tiny poems, was intriguing and intimidating in equal measure. I can remember buying it and walking back to my room, the weight of the volume digging the carrier bag into my fingers. Fewer than a dozen of these poems were published during Dickinson’s lifetime, which she spent largely as an eccentric recluse. She often dressed in white and, the story goes, rarely left her room later in life. I still imagine her sister, Lavinia, discovering piles of notebooks and loose sheets in a locked chest in that room after Emily’s death, opening them up and discovering the scope and breadth of her poetry. Opening this book, I felt like Aladdin, stepping into a cave filled with enigmatic wonder. There is so much to marvel at in Dickinson’s “quiet – Earthquake style” – her idiosyncratic use of the dash being one. These tiny bars work hard to restrain the pace and isolate words and phrases in her verse, forcing a kind of breathlessness into the reading. Her contained meditations on the nature of emotion are at once detached and scientific and passionately involved. I still find her poems fascinating little worlds. I have chosen this poem as it contains a message I try to remember every day. Once words are spoken, their impact and message cannot be controlled. Anything we say – to anyone – has unimaginable power on the recipient, irrespective of the intention. A flippant, offhand comment, delivered with barely a thought, can ruin someone’s day or stay with them for weeks – or longer. A well-intentioned intervention can backfire and make a situation worse. Our words have the power to can lift, raise and bolster – or crush, shatter and destroy. Teachers, and especially school leaders, wield this power every day. What Dickinson’s poem teaches me is to weigh the words I am about to say, and deliver them with care. I knew there was sense in it, but I couldn’t fit it together. As a life-long lover of puzzles, however, I couldn’t resist trying. The Waste Land is like a web, with words tugging on references to other texts which, when decoded, shine a light on the meaning of the whole. This was modernism, a text which existed in reference to other texts as well as to the real world. The trouble was, I knew hardly any of the references. Eliot’s own notes were a starting point but are often more opaque than the poem itself. But in tracing the lines of the web out to their historical, artistic and literary anchor points, I began to appreciate the richness that cultural capital could bring – and I wanted in. I read, and read, and read. I was voracious. And when, later in my course, I read Milton’s Paradise Lost, I found myself recognising more of the allusions. My experience was richer for it, and chasing down inter-textual connections and references still gives me a thrill of accomplishment. 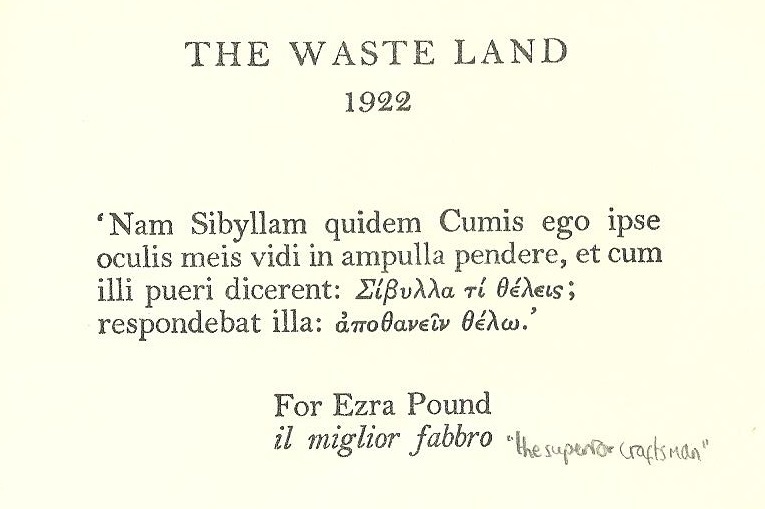 The text of The Waste Land is too long to publish here, but can be found here or here. The typist section that inspired my short story is below. The story, I’m glad to say, is lost. #PoetryPromise is coordinated through Poetry by Heart with the aim of promoting and spreading the love of poetry. My #PoetryPromise for 2015 is to share a favourite poem of mine every month through my blog. My choice for March is What Guys Look For In Girls by Savannah Brown. I’m a big admirer of the YouTube creator community, as I explain in my post Why I Teach. I like the creativity, passion and independence of the platform and its democratic ethos. 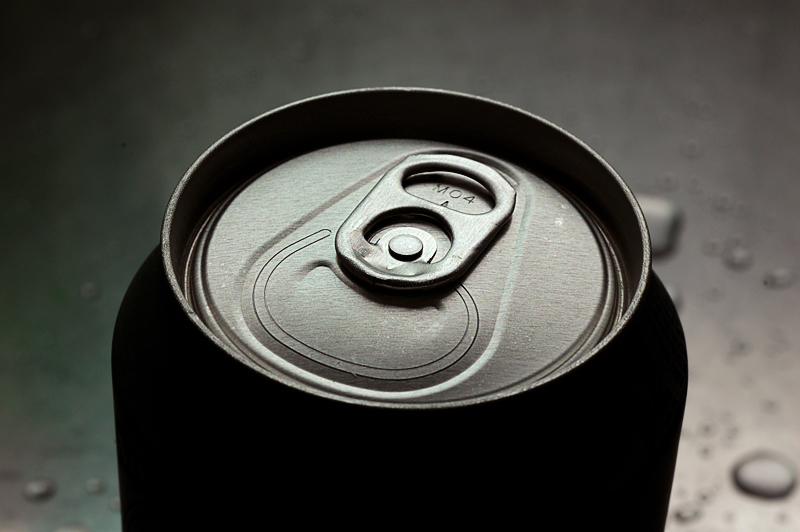 It’s been beset by controversy – sexual abuse, product placement, and ghost-written books for example – but in each case the community has been swift to respond and dish out its own justice. This poem is a great example. It was written by then-17-year-old vlogger Savannah Brown in January 2014 in response to a particularly tasteless and offensive video posted by Vine star Nash Grier entitled “What Guys Look For In Girls”. The poem passionately shreds the notions of other people’s expectations of attractiveness, inhabiting the slam form with its ebb-and-flow rhythms and poignant, personal epithets: “you’re worth so much more than your waistline.” It’s the best possible response to the mindlessness of patriarchal values. And it’s so appropriate that Brown chose poetry for her response, because the form lends weight to the words. In a poem, words have a heft, a gravity, a substance that no other form can give them. I’ve said before that the reasons I’m in teaching are to help ensure that young people understand the world well enough to have something to say about it, and have the best possible voice to express their ideas. This poem captures all of that. Here is a teenager with heartfelt, considered ideas and a powerful, passionate voice to express them in. And what’s more, she has a platform to reach those who need to hear it the most – YouTube’s young audience.